HETTICH has been for years as a well-known German company which supplies an large variety of furniture hardwares and mechanisms. 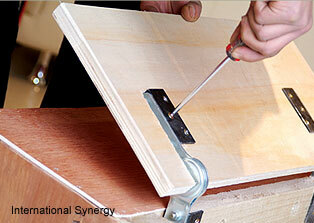 KELVIN GIORMANI is pleased to include some of them in our sofas that give functionality and durability. 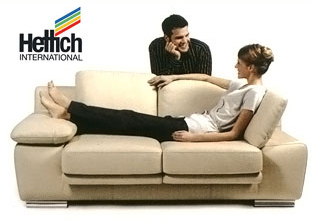 Kemmann & Koch is one of the few German companies which have over 80 years of history of producing mechanisms for sofas. 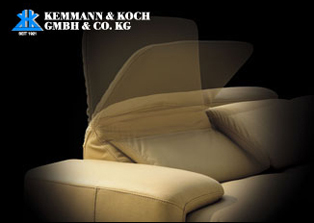 Inheriting the German manufacturing tradition of reliability and durability, Kemmann & Koch has always been an important source of mechanisms which construct the core of many KELVIN GIORMANI sofas. 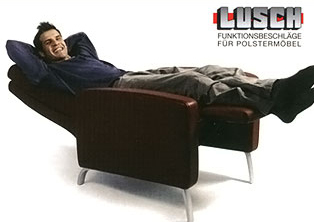 LUSCH is a highly regarded German manufacturer of sofa mechanisms. 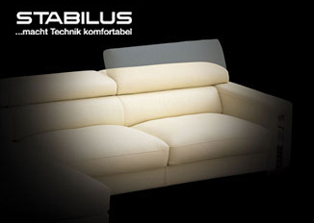 KELVIN GIORMANI always develops stylish European-design sofa functions and special features with LUSCH mechanisms. STABILUS is the world’s largest manufacturer of gas lifts & related products with production facilities over 10 countries around the world. To ensure the Italian mechanisms being used in our sofas perform smooth and reliable motions, KELVIN GIORMANI particularly chooses the German-made STABILUS gas lists to be the core of many of our sofas with motions. 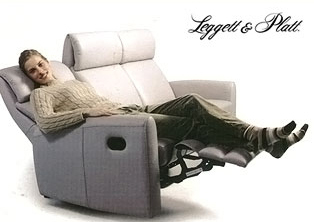 LEGGETT & PLATT is the world’s largest manufacturers of sofa mechanisms and a FORTUNE 500 American company. KELVIN GIORMANI uses its “zero-wall” recliner mechanisms for years. 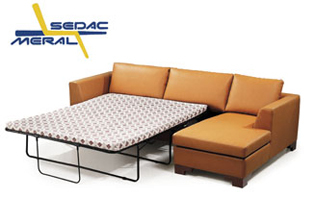 SEDAC MERAL is a Belgium based company who is the largest sofa bed mechanism manufacturer in Europe with production in various countries. We have been using their sofa bed mechanisms since 1999, and they are one of our first European partners on supplying sofa mechanisms. Some says KELVIN GIORMANI sofa is a melting pot of elements from different parts of the world. We are proud to make good use of highly skilled handwork from the country of our origin, being incorporated with European modern designs and German production techniques as well as the materials and mechanisms from American and European companies.